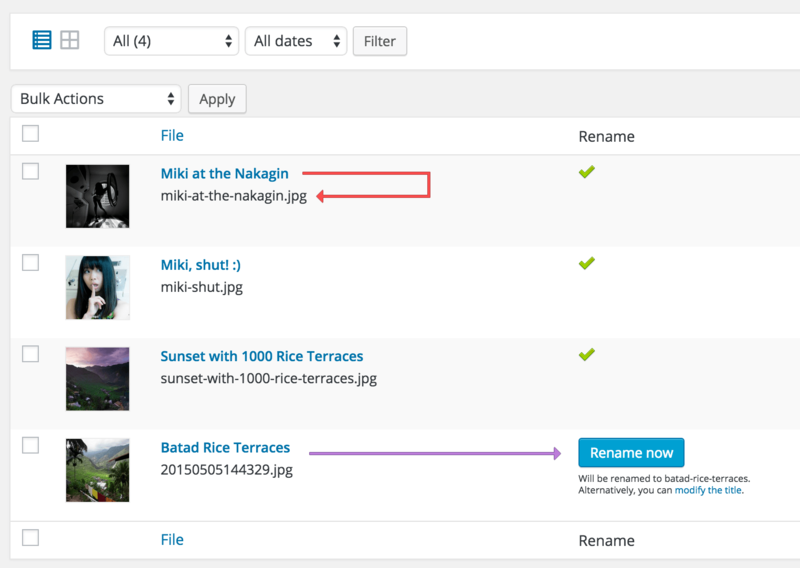 By clicking on the button, the files will be renamed directly. You can lock or unlock this automatic process by using those little icons. This allows you to organize your renaming tasks efficiently. The Free version only allows you to rename your files based on the title of this media. With the Pro, you can also do it based on the title of the post this media is attached to (or any other post types, such as pages, products, etc) or based on the ALT text.